BOSTON, Massachusetts, USA -- Thursday, March 21st, 2019 -- The Free Software Foundation (FSF) today awarded Respects Your Freedom (RYF) certification to seven devices from ThinkPenguin, Inc.: The Penguin Wireless G USB Adapter (TPE-G54USB2), the Penguin USB Desktop Microphone for GNU / Linux (TPE-USBMIC), the Penguin Wireless N Dual-Band PCIe Card (TPE-N300PCIED2), the PCIe Gigabit Ethernet Card Dual Port (TPE-1000MPCIE), the PCI Gigabit Ethernet Card (TPE-1000MPCI), the Penguin 10/100 USB Ethernet Network Adapter v1 (TPE-100NET1), and the Penguin 10/100 USB Ethernet Network Adapter v2 (TPE-100NET2). The RYF certification mark means that these products meet the FSF's standards in regard to users' freedom, control over the product, and privacy. "I'm excited about this announcement, because this collection of devices includes some for which there previously was no certified option. These certifications get us closer to our goal of making sure there is a certified device in each product category, to meet all users' needs," said the FSF's executive director, John Sullivan. Today's certification broadly expands the availability of RYF-certified peripheral devices. The Penguin Wireless G USB Adapter and Penguin Wireless N Dual-Band PCIe Card enable wireless network connectivity. 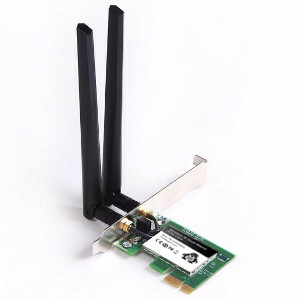 The PCIe Gigabit Ethernet Card Dual Port, PCI Gigabit Ethernet Card, Penguin 10/100 USB Ethernet Network Adapter v1, and Penguin 10/100 USB Ethernet Network Adapter v2 provide a direct Ethernet connection. Finally, the Penguin USB Desktop Microphone for GNU / Linux helps users to connect to one another by providing a freedom-respecting microphone. "I've always believed that the biggest difficulty for users in the free software world has been in obtaining compatible hardware, and so I'm glad to be participating in the expansion of the RYF program" said Christopher Waid, founder and CEO of ThinkPenguin. "ThinkPenguin has excelled for years in providing users with the tools they need to control their own computing. We are excited by these new additions today, and look forward to what they have in store for the future," said the FSF's licensing and compliance manager, Donald Robertson, III. To learn more about the Respects Your Freedom certification program, including details on the certification of these ThinkPenguin devices, please visit https://fsf.org/ryf. Started by Christopher Waid, founder and CEO, ThinkPenguin, Inc., is a consumer-driven company with a mission to bring free software to the masses. At the core of company is a catalog of computers and accessories with broad support for GNU/Linux. The company provides technical support for end-users and works with the community, distributions, and upstream projects to make GNU/Linux all that it can be. Image Copyright 2016 ThinkPenguin, Inc., licensed under Creative Commons Attribution-ShareAlike 4.0.